USDCHF is influenced by the retail sales for February and the business PMI report of Switzerland. At the moment the pair is expected to fluctuate in lower ranges creating new lower highs and lower lows. In the H4 chart of USDCHF the price is finding support at 0.9500 with resistance at 0.9580. The RSI is staying below the 50 level and the MACD indicator is in negative territory showing the price fall. The SMA of 50 is remaining below the SMA of 100. 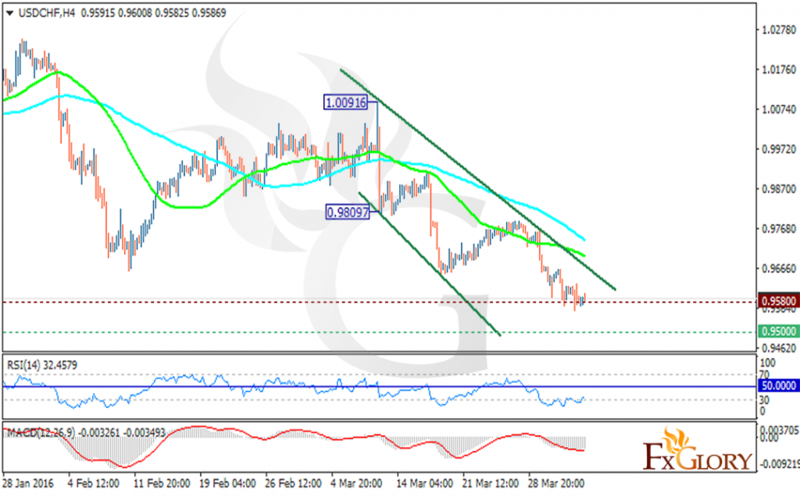 Short positions are recommended targeting 0.9555 and the break of this level will confirm the downward trend towards the support level.